How is that healthy masculinity anyways? 1. Because I want to. 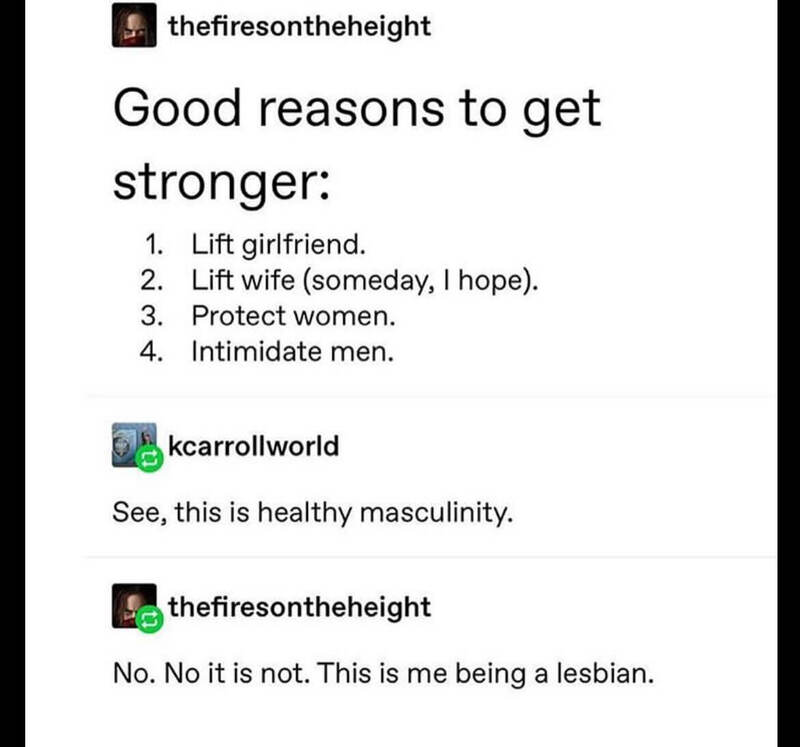 Who said females can’t be masculine and it being seen as positive? The general populous as of late. .. Indeed. Moreover the concepts of masculine and feminine are just made-up ideas and harbor no affixion to reality.